I didn't realise my mother was a person until I was thirteen years old and she pulled me out of bed, put me in the back of her car, and we left home and my dad with no explanations. I thought that Ma was all that she was and all that she had ever wanted to be. I was wrong. As we made our way from Virginia to California, returning to the places where she'd lived as a child in foster care and as a teenager on the run, repaying debts and keeping promises, I learned who she was in her life-before-me and the secrets she had kept - even from herself. But when life on the road began to feel normal I couldn't forget the home we'd left behind, couldn't deny that, just like my mother, I too had unfinished business. This enigmatic pilgrimage takes them back to various stages of Alex's mother's life, each new state prompting stories and secrets. Together they trace back through a life of struggle and adventure to put to rest unfinished business, to heal old wounds and to search out lost friends. This is an extraordinary story of a life; a stunning exploration of identity and an authentic study of the relationship between a mother and her child. 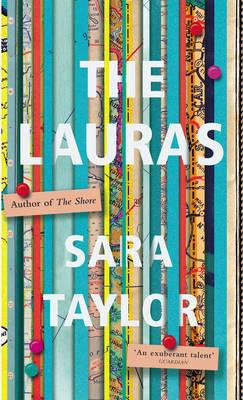 The Lauras is the new novel from the exceptionally gifted author of The Shore, which was long listed for the Baileys Women's Fiction Prize and shortlisted for the Guardian First Book Award and the Sunday Times Young Writer of the Year.